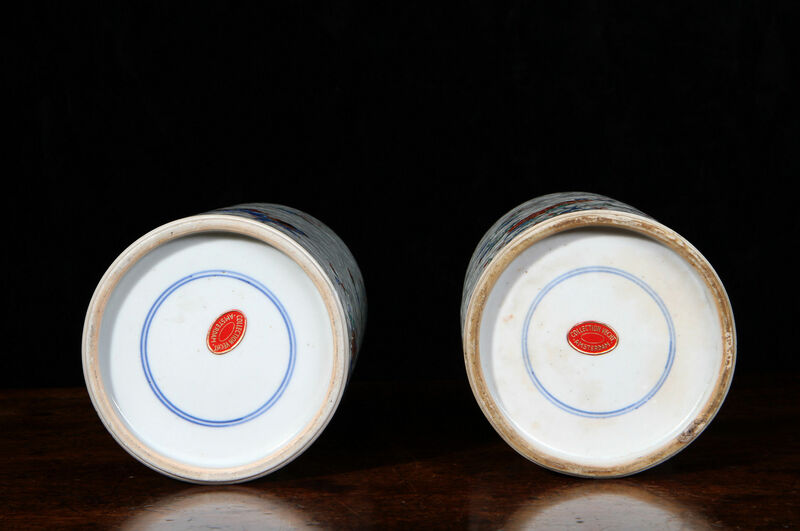 Double circles in underglaze blue on the bases. The most remarkable examples of the work of this anonymous workshop are the garniture of two baluster vases with a trumpet ‘yenyen’ vase similarly decorated but with the addition of the crowned arms Poland and Saxony and FAR monogram of Friedrich Augustus Rex Elector of Saxony and King of Poland, known as Augusts the Strong. 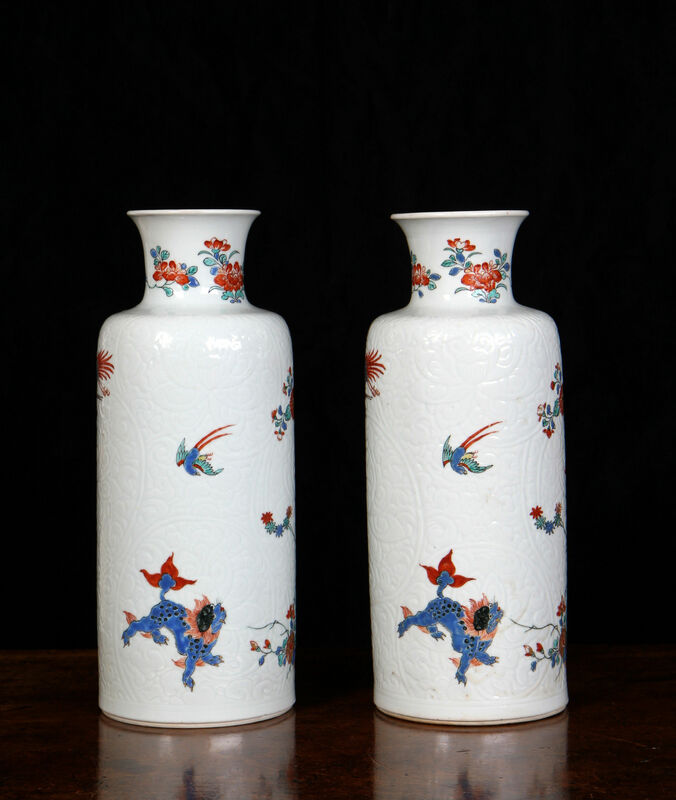 These vases, preserved in the Staatliche Kunstsammlungen Dresden have the Japanese Palace inventory mark N:53↑ indicating that they entered the collection around 1727 to 28. (Illustrated Espir op.cit. pp. 68 & 69). 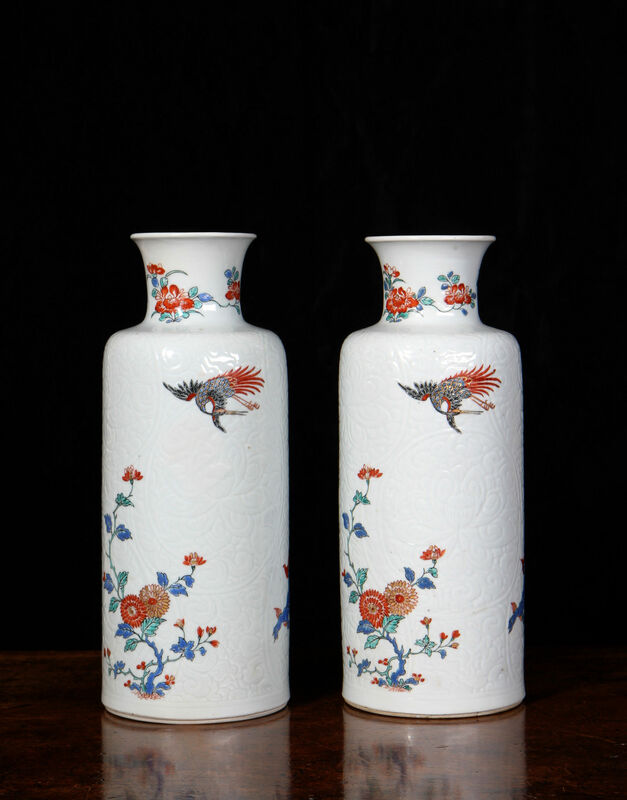 The cylindrical Chinese porcelain vases with incised anhua decoration of lotus scrolls over the entire surface each subsequently enamelled in Holland in around 1720 with a phoenix and bird in flight above a blue shishi and sprays of chrysanthemum and bamboo. 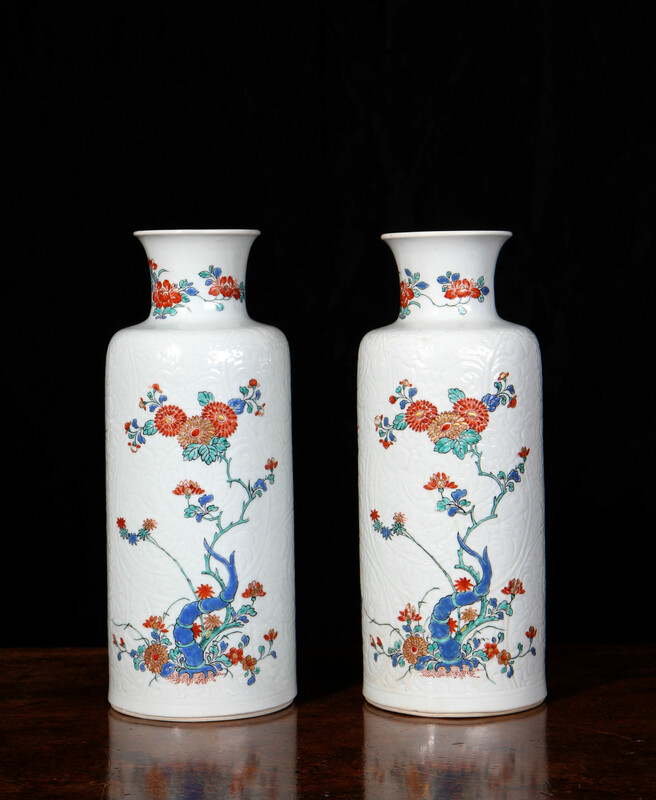 These vases belong to a small group of pieces of exceptional quality decorated in the most precise manner on a carved ground. Two other examples of this type of identical form but with different decoration are illustrated by Helen Espir, European Decoration on Oriental Porcelain, 1700-1830, pp 80 & 81. Condition: one vase with section of neck broken in two pieces and restuck, the other with a faint 9 cm hair crack to the shoulder.